Our sustainability policy includes a commitment to contributing to our community through local sourcing. We consider the definition of local to include independently owned organisations (not plcs) with both a principal base and invoice address falling within the former county of Avon. This comprises Bristol, Bath & North East Somerset, North Somerset and South Gloucestershire which is the boundary used by our Local Economic partnership. This geographical criteria is consistent with that used by Bristol Credit Union. This corresponds to organisations in our purchase ledger with a BS (Bristol) postcode only (excluding BS26, BS27 and BS28) and BA1, BA2, BA3 and GL9. This website http://local.direct.gov.uk/LDGRedirect/Start.do?mode=1provides confirmation of local authority by postcode. This is more practical (our computer system does not allow us to search by radius) than the definition used by the Sustainable Communities Act 2007 which considers a 30 mile radius as a definition of local. Every new team member is given a sustainability introduction which explains the importance of local sourcing and our commitment to it. Our sustainability manager monitors activities and suggests alternatives to practices observed that do not support local businesses. In 2014, we assessed the year-to-date turnover of all of our suppliers and determined that 6% of spend met our definition of local. This includes packaging, cleaning, repair and maintenance, marketing and logistics companies which could all be sourced from national or international companies if desired. Other UK spend was 91%. Our waste carrier is nationally operated as we were unable to find a local supplier who can collect and recycle or recover all of our waste and provide us with weights for monitoring purposes. The remaining 3% of spend is with overseas suppliers who supply ingredients that cannot be sourced in the UK, overseas distributors for international sales, finance and charitable donations. We then reviewed all suppliers with over £20,000 spend. These include our artwork supplier, packers/packaging, transport companies and herb suppliers. It also included marketing and finance interim support, which has now been recruited in-house; our building, which we are seeking to change; and Royal Mail postage. All of our suppliers have been chosen based on price and service (which includes ethical considerations). For example, the freight of all of our ingredients is carried out by an SME located in Essex. This supplier commits to shifting from road to rail transport for full container loads which is deemed more desirable from a sustainability perspective than sourcing locally. 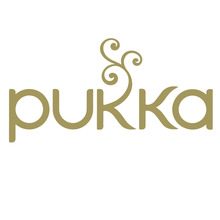 At Pukka, we are committed to maintaining long-term trusting relationships with our suppliers and many of them, including our artwork supplier, were initially chosen when we were at a micro-business level and had existing relationships with our founders. Once we have established a mutually beneficial relationship, we do not seek to change it even if this could potentially exclude a possible local supplier. We have very specialised requirements for our packers, herb suppliers and testing laboratories due to our organic status, ethical and quality requirements. For example, our organic tea packer is located in Gloucestershire and is the closest supplier available for this service and our organic tea blenders are located in Somerset (whom we use to capacity and are the only UK supplier in the country that we know of who can provide this service) and Germany. This German supplier is a member of the Union for Ethical BioTrade and has committed to ensuring that their sourcing practices promote the conservation of biodiversity, respect traditional knowledge and assure the equitable sharing of benefits all along the supply chain. We source herbs from vulnerable rural communities in Europe, the Americas, Asia and India and ensure these are ethically sourced through adherence to organic, Fairtrade and FairWild standards for applicable certified products. We do however believe that we can source more locally and aim to increase the proportion of spend annually. This will be communicated in our annual sustainability report. Pukka Herbs answered Version 1 of this question. It has since been updated to Version 4. View a side-by-side comparison of the changes to the question here.